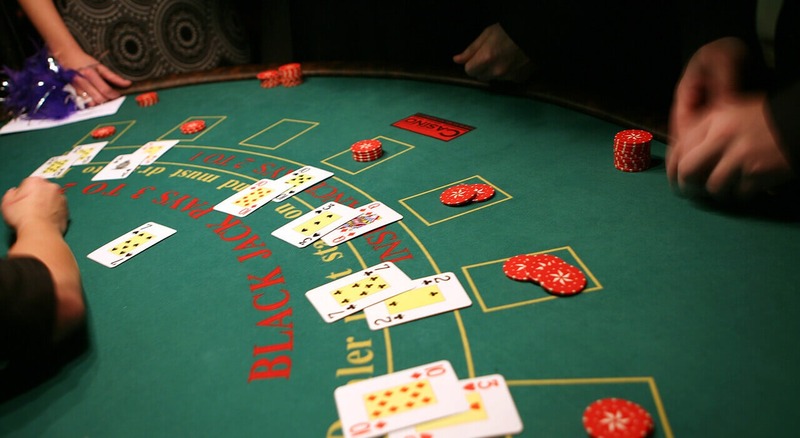 When playing blackjack, one of the first things a beginner needs to understand is how to play each hand they may be dealt. This is very important as it will help you build up a solid knowledge of what to do with any combination of cards you may receive and take any guesswork out of the equation. If you want to be successful at blackjack then turning it from something that relies on luck to something that actually has a logical edge to it is vital. There are many blackjack card strategy charts on the internet that can be used for this purpose or you can commit the various moves to memory if you prefer. Doing this will help you make the correct statistical decision on whether to hit or stick, based on the cards that have been dealt in each hand, along with what the dealer may be showing. One slightly more advanced strategy for intermediate and advanced players is that of surrendering. This tactic involves being able to fold your hand if you are not confident in it and get half your stake money back. There are a few informal rules around doing this, but one that is really useful is when to think seriously about making this move. The general advice is that if the dealer has a soft-17 hand when they are in play, then you should think about surrendering if your cards are worth 15 or 17. Another great tip in this area is to not surrender if the dealer is showing a 9 and you have a 16 in total. Although many players do not like doing this, it can really help in preserving your bankroll over the long-term. This strategy is for the more advanced player – as ever, beginners should get used to using basic strategy before moving onto this. Doubling down gives you the option of doubling your initial stake amount to receive one more card. Once you’ve received the extra card, you must stand on whatever you have afterwards. As this implies, you should use the chance to double down very carefully and only when you think it gives you a strong chance of winning! As a guide, doubling down when you have a hand worth 11 is worth thinking about, as is doing it when you have a pair of fives, as long as the dealer doesn’t have a 10 or ace. Another way to use the double down is when you have a hand totalling nine if the dealer has a six or less. Blackjack is a fabulous game and one that offers an excellent chance for players to win. As opposed to other casino games, the house edge is relatively low, which makes it a great game for players if you use the right tactics and strategies. Remember to get the basics right before moving on to the more advanced tips and you will have a superb chance of winning yourself.